Do you remember playing The Red Solstice a few years ago? 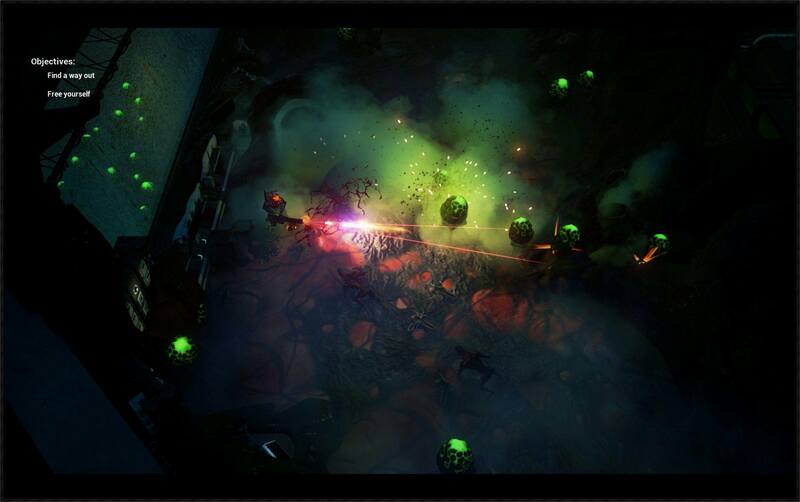 It was a shooter by a developed named Ironward that is set on a futuristic Mars. It allowed you and seven other friends to play cooperatively as soldiers to figure out what happened to the Martian colonies and save whoever may be left. Well, a follow-up to that game is on the works called Solstice Chronicles: MIA. As the title of the game implies, you will be controlling a soldier who has been deemed “missing in action.” The soldier will be accompanied by a drone who will provide assistance to you with some interesting game mechanics. The game is your basic survive the level by gunning down enemies and completing certain objectives. What’s different with Solstice Chronicles: MIA is that there is a bar that stands for the threat level that you can work to your strategy. When the threat level is low, the enemies are lower-leveled and spawn less frequently and vice versa. You can manipulate the threat level with your friendly drone by utilizing its four unique skills: scout, bomb, taunt, and block. Scouting and bombing are the tools to use when the threat level is low. 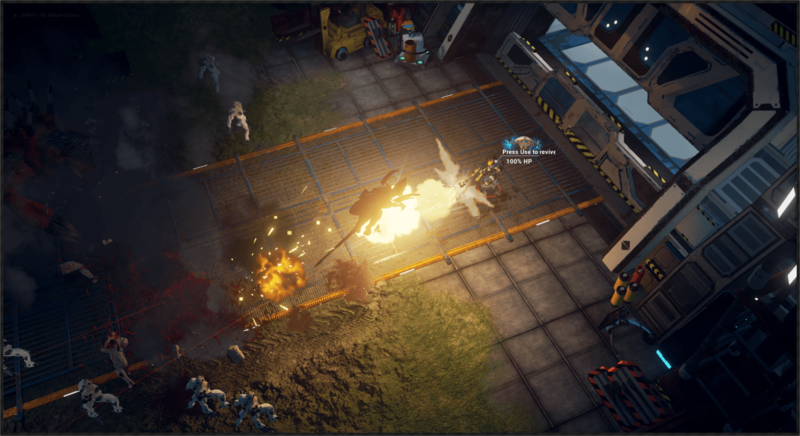 Scouting allows your drone to constantly bring you supplies and upgrades, making it easier for you to plow through hordes of enemies. Bombing is a life-saving skill when you are surrounded by enemies; it literally nukes weaker creatures and stuns stronger ones. The caveat for these skills, however, is that they increase the threat level. Fortunately, higher threat levels can be lowered using the drone’s taunt and block skills. Taunt will call out enemies in waves and dispatching each one decreases the threat level. Block is almost like the bomb skill, and you use it when you’re surrounded by enemies. It will push surrounding enemies to the wall and smash them. 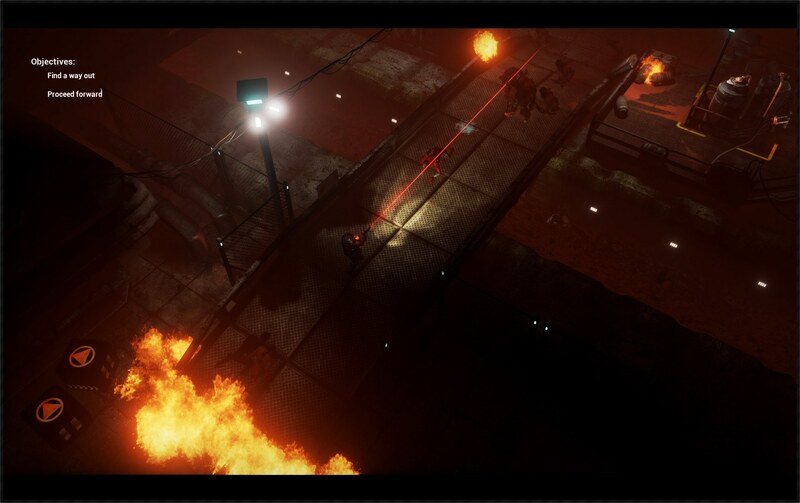 Overcharging a block will reduce the threat level and may spawn out a boss enemy. To be quite honest, I really think the threat level mechanics need to be tinkered on a little more. While it creates a cool dynamic of how to play the game, all the drone’s skills pretty much just made the game harder (or maybe I just never really figured out the strategy). Even at the easiest difficulty, I had a hard time beating the second level’s two back-to-back bosses. However, I can attribute that difficulty to the usage of the keyboard and mouse to control my soldier. The game does allows you to use a gamepad (such as a PS4 controller); however, I was not able to connect a gamepad, and hopefully that’s because it was still being worked on. Let me tell you this, though: Solstice Chronicles: MIA is meant to be played with a gamepad. The keyboard and mouse controls are quite clunky, especially with the holding of the right mouse button to aim, left mouse button to fire, and using the keyboard to walk. Solstice Chronicles: MIA also features an RPG-like element with skill trees. After completing a level, you are assigned skill points to distribute to increase your statistics as well as gain new abilities and upgrades. You are even given a choice of four classes, but the demo only allowed me to test out one class. I can foresee the classes being a critical element during cooperative sessions—another gameplay element that is not in the demo, but is definitely promised in the final build. Hopefully, Ironward will take it a step further and allow online multiplayer. So far what I have experienced with Solstice Chronicles: MIA leaves me hopeful. As I stated before, the game is still in its alpha version, and the final build can definitely change. Right now, Ironward is having a campaign to raise funding to complete the game, and you can find it via its Fig page. Give the developers some support and see this highly-anticipated sequel come to life. 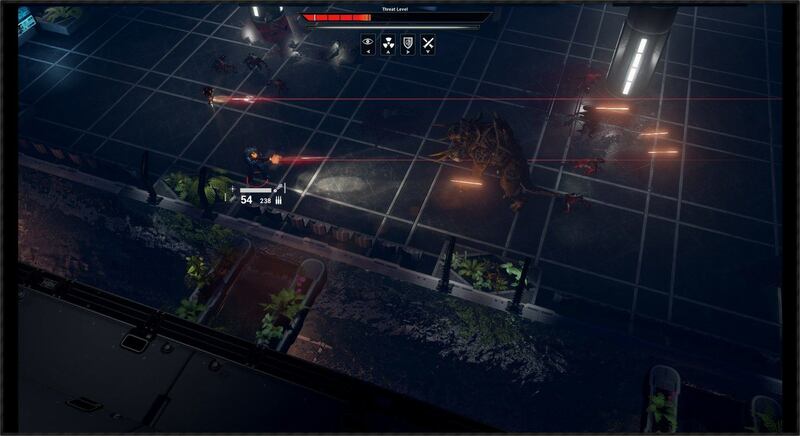 This preview is based on an Early Access version of the game provided by the publisher.